It can be difficult to think of original and innovative gifts at Christmas or any other time of year. We think that for anyone who enjoys cooking and eating, a great cookery book with a selection of spices that feature in the recipes should go down a treat! There are numerous fantastic books available in bookshops and online. Some are tried and tested favourites, some are new publications and the choice constantly increases, encompassing every cuisine imaginable. 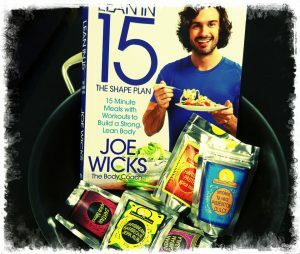 Joe Wickes ‘Lean in 15’, packed with health conscious recipes using fresh ingredients, spices and spice blends, with a few workouts to get you even fitter! Cinnamon Quills – great for serving as a stirrer with Coffee or Hot Chocolate! Allspice berries – Integral in Nigella Lawson’s Allspice Gravy! Juniper berries – for use in all game dishes and pies, also great with winter vegetables. 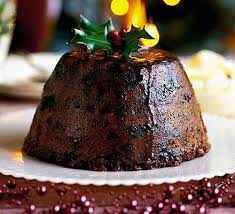 Mixed Pudding spice – Cakes, puddings, mincemeat – the ultimate Christmas spice blend! Mulled drink spices – for welcoming and warming your guests! Star Anise – Cranberry sauce, glazes for meats and an attractive natural gift decoration! Celery Salt – for your Bloody Mary’s! Parsley, Sage, Rosemary & Thyme – the basic herbs for your stuffing mixes. 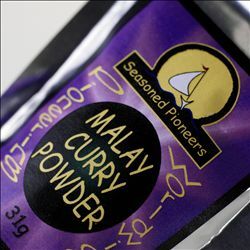 Madras Curry Powder – a good all-rounder for your turkey curry & Coronation chicken. For our customers to savour. To embrace a new direction. Could any other present do? Curries and chillies for kitchen high jinks. They’re boxed to show their shiny good looks. Wonderful meals that never will tire. What a surprise, what a delight! Someone, at last, has got it so right! How, in a trice , to turn up the heat. 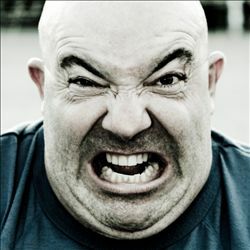 Spicy cooking should never phase yer! We guarantee your street cred. will soar! This sure will ‘swing it’! For those ever grateful dishes! Seasoned Pioneers wish you all a very happy festive season! Fancy something a little different on your table this festive season? We taken a look at a couple of other countries for some festive feasting inspiration. When thinking about Christmas, it’s hard not to conjure up images of Santa in his Lapland toyshop making a list and checking it twice, so our first port of call is Finland. Joulupöytä, which translates as Yule or Christmas table, is the name of the traditional food board containing many different served at Christmas in Finland. 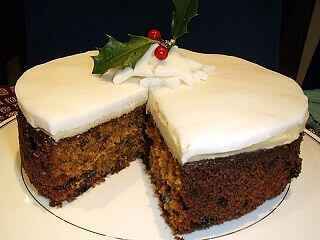 The main dish is usually a large Christmas ham, along with other dishes such as fish and a variety of casseroles. The feast is finished off with sweet treats such as a rice pudding, Christmas bread and biscuits. And it’s all washed down with a traditional alcoholic or non-alcoholic glögi, similar to mulled wine. Very handy dishes for any host preparing a feast as they can be made in advance and keep well for two or three days when stored in a cool place. Or why not try with leftover vegetables? Both casseroles are suitable for freezing if they don’t all get eaten! – Glass Masters herring (containing whole allspice berries, bay leaves or you could also try with horseradish, peppercorns or celery or mustard seeds. You will need to make this a few days in advance as the fish needs to soak overnight, unless filleted and the skins removed, and the whole lot left to marinade for two to three days). But a white Christmas isn’t a reality for everyone so if this is your summer or you want to transport yourself and your taste buds to sunnier climes this festive season, let’s look to the Caribbean for some inspiration. The weather might be different but the spirit of getting together with friends and family and enjoying good food is still the same. Dishes to chose from include roast pork, rice with peas, yummy parcels of pork and green bananas known as pasteles, followed by sweet treats including black cake or pudín de pan. Drinks of choice are often rum based such as eggnog-like coquito or ponche de creme or if you can’t let go of that mulling feeling try sorrel rum punch. However you celebrate the festive season, we hope it’s a very happy one! Looking for a last minute Christmas gift or just some treats for festive visitors? Look no further than a simple, but delicious Panforte – a traditional Italian dessert containing fruits, nuts and spices. Normally served with coffee or dessert wine – but delicious at any time of the day! 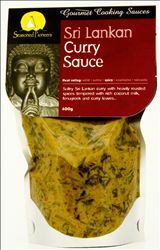 – it’s sweet and quite sticky, with warming and festive hints of cinnamon and cloves alongside the citrus flavours of cardamom. It will keep for several weeks if wrapped properly or stored in an air tight tin. Tanzanian Banana and Yam Stew for a change on the traditional or Pilaf Stuffed Onions for a great looking and tasting vegan centrepiece. For those new to vegan cooking, please be careful if buying stock as not all vegetable stock is vegan friendly try Marigold Bouillon, who have a delicious stock especially for vegans. The Moroccan Bake is great made using Quorn fillets, halloumi cheese or with extra vegetables and chick peas for an aromatic and tasty dinner that you can serve along with your other Christmas dinner vegetables. 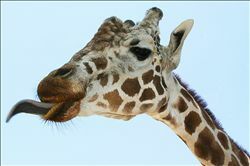 So aromatic in fact that the vegetarians at the table might need to guard their meal carefully and fend off all others wanting to try some so make sure you make enough! 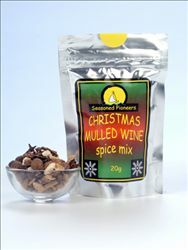 For guaranteed festive cheer try one of our mulling drink spice mixes (1.95 each) including our latest Mulled White Wine, best selling traditional Mulled Wine for red wine, Mulled Cider, Cajun Cafe Brulot for a liquor coffee with a kick together with our Sorrel Rum for an authentic Carribean punch plus with many having non-alcoholic recipe versions as well, non-drinkers and designated drivers need not miss out. For gifts around 10 pounds, try one of our gift selections. With five seasonings and a recipe booklet, you can chose from cuisines such as Indian, Asian as well as Worldwide selections. With our festive Mulling Drinks selection and, for those who like it hot, our Hot and Fiery or Chillies selections, containing five different chillies with heat ratings up to volcanic. 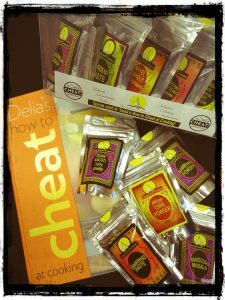 For gifts under 20 pounds, try our Delia Smith ‘Cheat’ Ingredients, with all ten of our seasonings used in Delia’s book ‘How to Cheat at Cooking’ or our Worldwide Curry Powders selection which contains ten authentic dry-roasted curry powders from around the world, including South African Curry Powder, Malay Curry Powder and the wonderful Zanzibar Curry Powder. For the budding chef the Essential Store Cupboard Seasonings (38 pounds) is a collection of 30 spices that no kitchen should be without including staples such as black peppercorns, bay leaves, pimenton and allspice. Or for a more adventurous twist on the essentials try the Exotic Store Cupboard Seasonings (53 pounds). For the chef that has everything the ULTIMATE Spice Aficionado Collection (180 pounds) is a selection of 100 of our most interesting and unusual spices and blends including Indonesian Laos Powder, Iranian Advieh Rice Seasoning and Mexican Epazote Leaves. Now that’s got to impress any cook or chef! For great stocking fillers, our individual seasonings are ideal. Practically gift-wrapped already in their attractive funky foil packaging (it keeps them super fresh too! 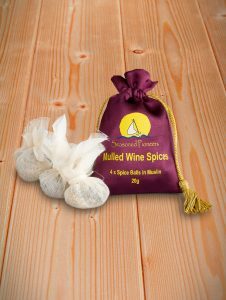 ), there’s over 200 to choose from so you can tailor your selection to any lucky chefs desires maybe Moroccan Ras-el-Hanout, Indian Gujarati Masala, Middle Eastern Rose Petals or you can choose a gorgeous little fabric bag of Mulled Wine spice balls, that can also decorate your Christmas tree! 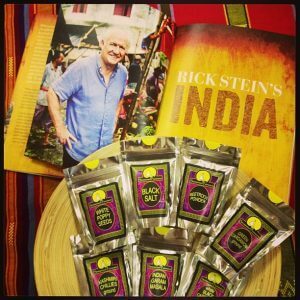 Rick Stein’s India Spice Selection, used in his book and TV series India. Delia Smith Ten Spices, used in her book How to Cheat at Cooking. Delia’s Spices used in Delia’s Cakes. Annie’s Camping Spice Kit, used in The Camping Cookbook by Annie Bell. And now you can even save time on wrapping by selecting the gift service option when you buy. For just 3.95, we will send your package hand wrapped together with a handwritten message of your choice, plus, if you want, we’ll even send your gift directly to the lucky recipient!